Mon., Sept. 10, 2018, 5:21 p.m.
Justin Verlander is set to make his long-awaited return to Detroit as a member of the Houston Astros. And his new team is on another impressive run. The Tigers traded Verlander late last season after over a decade in Detroit – a stretch that included two American League pennants, four division titles and an MVP award for the hard-throwing right-hander in 2011. Now he’s scheduled to take the mound Monday night at Comerica Park on what should be an eventful evening in Motown, to say the least. “They’ve got Monday Night Football that night, too. So we’ll see what happens,” Verlander said. Indeed, the Tigers will host Houston while the Lions open their season across the street against the New York Jets. That may take some of the attention off Verlander’s return, but it should still be an emotional atmosphere at the ballpark. Verlander helped the Astros to a World Series title last year, and this season, he’s 14-9 with a 2.73 ERA. 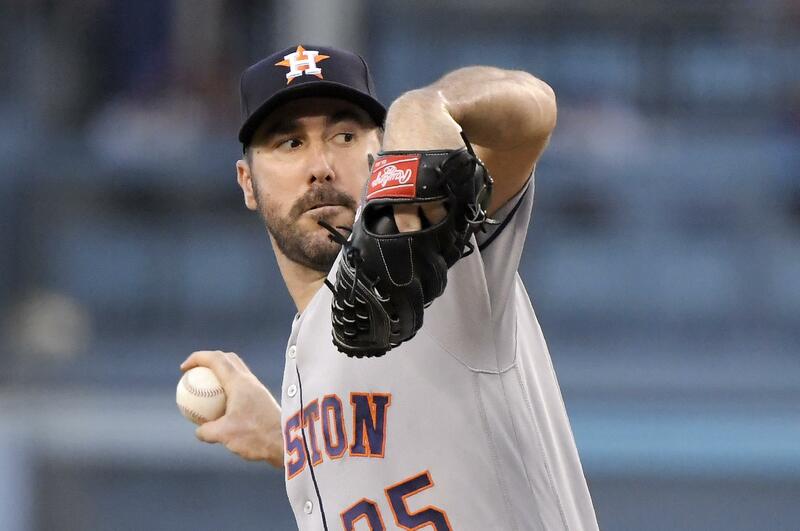 Houston had a seven-game winning streak snapped when it lost to Boston in the bottom of the ninth inning Sunday night, but that defeat came after the Astros took the first two games in the series against the team with baseball’s best record. Houston has a major league-best 3.10 ERA, which would be the lowest in the AL since the Yankees finished the strike-shortened 1981 season at 2.90. It would also be the second straight season an A.L. team led the majors in ERA, after Cleveland did it in 2017. The Astros lead second-place Oakland by 2 1/2 games in the AL West in the only race that’s all that compelling in the A.L. Boston leads the Yankees by 8 1/2 games in the East, and Cleveland could clinch the Central sometime this week. The battle for the second wild card isn’t all that close either, with the Athletics 7 1/2 games up on Seattle. Verlander hasn’t pitched at Detroit since the trade, but he did face the Tigers earlier this season in Houston. Detroit hit four home runs off him and beat the Astros 6-3 . The National League’s postseason race was probably bound to thin out. The Nationals never made much of a push and have traded some significant contributors since the non-waiver deadline, and the Pirates are 7 1/2 games behind the second wild card – even after five straight wins. The Phillies are currently 4 1/2 out of a wild card. They trail N.L. East-leading Atlanta by the same margin. Philadelphia is 2-6 this month and dropped costly series this past week against the lowly Mets and Marlins. Even at altitude, Trevor Story’s 505-foot home run Wednesday night was impressive. Colorado beat San Francisco 5-3, and Story hit three homers totaling 1,380 feet , according to Statcast. Published: Sept. 10, 2018, 5:21 p.m.